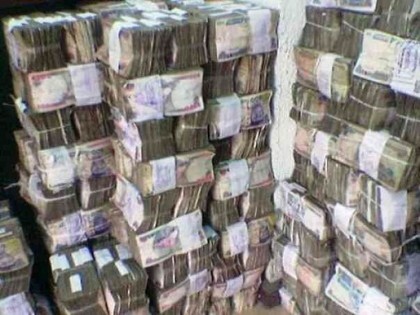 A total of N388.3 billion has been paid to 35 states in Nigeria by the Federal Government as refund of the Paris Club loan over deductions. This figure is aside the budget support facility the states have received on a regular basis since 2016, from the central government as part of financial support to state governments. Also, this is in FG’s determined effort to support states in meeting their obligations and mitigating the effect of the economic recession. In an analysis by the Federal Accounts Allocation Committee (FAAC), it was revealed that as at December 27, 2016, 35 states have been paid a total of N388,304,379,072.96. According to the statistics, Ondo State has only received 50 percent of the refund due owing to a transition of leadership while further instruction is being awaited on the balance. Adamawa, Oyo and Taraba States, and the second tranche of payment to Kwara, represent the portions due to the respective local governments. Kwara State got payments in two tranches tagged Kwara 22a and Kwara 22b. The figure for Kwara 22a as contained on the document is N5.4 billion while Kwara 22b is N3.7 billion. A breakdown of the payment shows that Abia, Adamawa, Akwa Ibom, Anambra and Bauchi States got N10.6 billion, N4.8 billion, N14.5 billion, N11.3 billion and N12.7 billion respectively. In the same vein, Bayelsa, Benue, Borno, Cross River, Delta, Ebonyi and Edo States were paid N14.5 billion, N12.7 billion, N13.6 billion, N11.3 billion, N14.5 billion, N8.3 billion and N11.3 billion respectively. Ekiti, Enugu, Gombe, Imo, Jigawa, Kaduna, Katsina, Kebbi and Kogi States got N8.8 billion, N9.9 billion, N8.3 billion, N13.02 billion, N13.2 billion, N14.3 billion, N14.5 billion, N11.1 billion and N11.2 billion respectively, from the Federal Government. The payment breakdown also shows that Lagos State got N14.5 billion, Nasarawa N8.4 billion, Niger N13.4 billion, Ogun N10.6 billion, Ondo N6.5 billion and Osun N11.7 billion while Oyo State got N7.2 billion. In the other disbursements, Plateau, Rivers, Sokoto, Taraba, Yobe and Zamfara States got N10.4 billion, N14.5 billion, N11.9 billion, N4.2 billion, N10.06 billion and N10.1 billion respectively.